Scott is a native of Missoula, Montana who loves to fly fish, be in the outdoors and spend time with his wife and sons - Brody, Dawson and Cooper. Scott attended law school at the University of Montana School of Law. Following law school, Scott earned his Master's Degree in Tax Law (LL.M) from the University of Washington in Seattle, Washington. 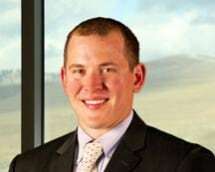 Prior to law school, Scott attended Montana State University where he graduated with honors earning a bachelor's degree in business management and a minor in entrepreneurship and small business management. - Estate Planning: Creating and maintaining an estate plan to meet the goals of his clients and to ensure the client and the client's family are well prepared in the event of death, incapacity or unforeseen tragedy. Preparation of internal governing documents, such as bylaws, shareholder agreements, partnership agreements, operating agreements, and the like.